Albion River Inn may be a little more than you want to spend, but, more importantly, there's a llama farm right across hwy 1. We saw llamas out in the field each day we were there, and I think you may be able to visit. FYI - this sale is back and the same 20% off one item code is the same. I just got a 4qt copper core saucepan for $140 all in. So this will happen in SoCal early May. Ooh, cool. Thanks, Mike! I'm set on the Dutch oven, but maybe I'll just see what else I "need"! I've decided I absolutely need a 7 1/4qt Le Creuset round Dutch oven in life. I'm not picky about the color. Where's the best place to buy them? Do they go on sale at certain times of the year? I'm willing to wait a couple of months, but not until Black Friday. Bring earplugs to Magic Mountain -- the rides there are extremely loud. When I visited LA for the first time when I was that age, I thought walking around Venice Beach was really cool. You might want to see if you can watch the taping of a TV show. Topic: What to do with an antiquated wine book collection? Re: What to do with an antiquated wine book collection? Many thanks for all of your input. I guess I'll put some work into logging what I have and then go from there. What to do with an antiquated wine book collection? Topic: New Lotus of Siam location --- what's the deal? Re: Salt & Pepper - What do you use? Just hire a couple of strong guys. Taskrabbit is great for this. Topic: Update-Fake News: Domaine Leroy sells to LVMH for $1B??? Re: Domaine Leroy sells to LVMH for $1B??? Update-Fake News: Domaine Leroy sells to LVMH for $1B??? Through the rumor mill on Facebook. Does anyone have confirmation? When I worked in auctions, we found this happens fairly often. Check your shipments....mistakes happen. That's my recollection as well, at least pricing from Premier Cru on pre-arrival. Didn't he do this with the BMW parts, too? He went back and said he'd make everyone whole and then it never happened. The credit card was never charged. There's no issue here. The OP feels entitled for no justified reason. Topic: California Pinot Noir Club recommendations? Re: California Pinot Noir Club recommendations? I would recommend visiting several wineries and taste as many different wines as you can. Then buy what you like. There are lots of different styles of Pinot Noir. I wouldn't get on to a winery's list from recommendations. Your tastes might be different from the recommenders. And the officials who shut him down after all the unpaid bills and rent? Don't forget the investor who gave him boatloads of money but then turned racist overnight when the business started tanking. I wonder if the banks that were closed in France all the time were so because they were racist? Thought I'd save you all from "running to the dictionary." My advice is to not try selling your wine here. Most of the people here are in the States. Importing the wine here from Europe is a real hassle. Selling alcohol without a license is illegal in the US. I don't know about the laws in Europe. What is a “proper cellar” vs. a “normal cellar”? I'm guessing active vs. passing cooling. She's in Europe, so a passive underground cellar might be just fine. Tim, I don’t understand why an auction house would knowingly sell counterfeit wine. It would come to light eventually and ruin their reputation. I don't think most criminals start out thinking they will be caught. My wife had our first child! 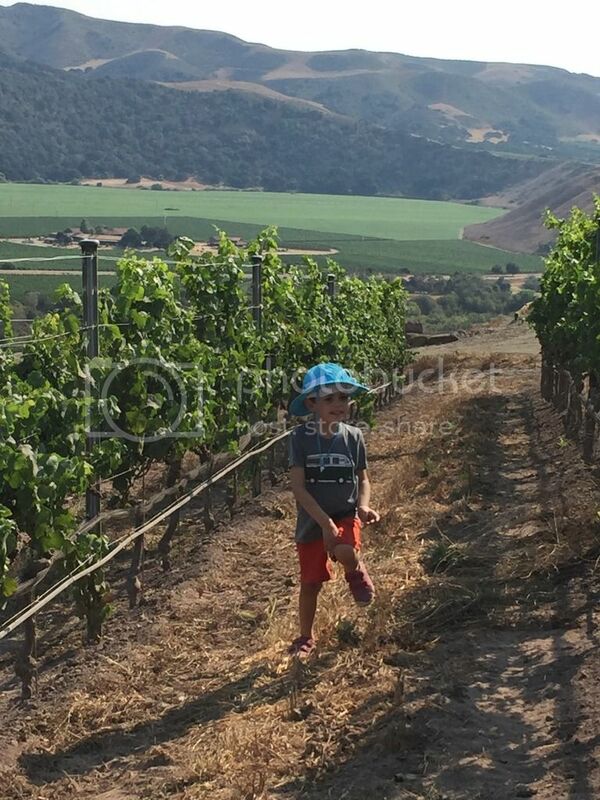 We played hide-and-seek in the vineyards at Sea Smoke. A 6-bottle vertical of aged vintage Prosecco from Garagiste. At least they were good for a laugh at a few Garagiste wine dinners we had locally. I even printed out the sales pitch and delivered it with a dramatic interpretation. Topic: Undercharged $100 for a bottle of Armagnac. WWJS do? Undercharged $100 for a bottle of Armagnac. WWJS do?